Students volunteer during the 2018 UIC Day of Service. Serve the community April 13 during UIC’s annual Day of Service, which celebrates its 10-year anniversary this year. 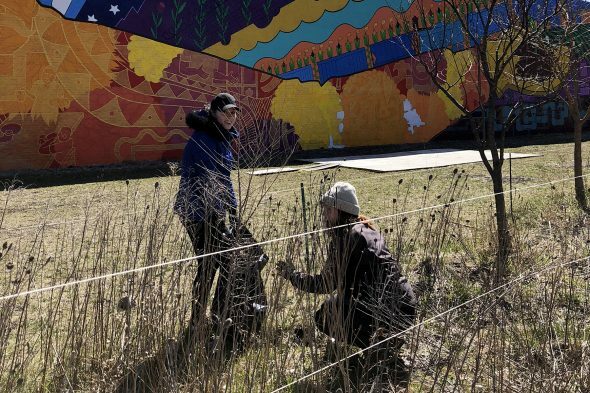 The event provides an outlet for students, faculty, alumni and friends of the university to come together for one day to volunteer at sites across the city and suburbs. Volunteers can choose from about 14 volunteer events. For more information or to sign up, visit the Student Leadership and Civic Engagement website. Event coordinators said they hope the day would provide volunteers with an opportunity to find a niche volunteering interest beyond the event and to also do good within the community. Some of the organizations are recurring while others are new. Hayes said the chosen areas of service are evaluated annually, based on a list of about 400 possible organizations. The Day of Service is intended to reach varying communities while also making the event accessible to UIC students. Andrea Lee is the manager of external affairs with UCAN, an organization that provides support for youth who experience trauma, as well as housing, violence intervention programs, therapy in schools, and workforce development. UIC recently began coordinating volunteers with their group. At UIC’s Martin Luther King Jr. Day of Service event in January, about 40 students traveled to the west side of Chicago to clean and organize within the historic Stone Temple Missionary Baptist Church, where MLK Jr. preached in 1959. This month, students will help to repair UCAN academy, a K-12 school that is located on West Grand Avenue and North Sacramento Boulevard. The school is for children who have been removed from public schools for behavioral issues related to trauma. Lee said there is a lot of work to be done, including painting and patching up walls. Lee said the experience can be beneficial to both students and residents of these communities. “To be thought of in a positive way and to be remembered by the community meant a lot to [students],” Lee said. Community organizations still need help beyond the Day of Service, Lee said.